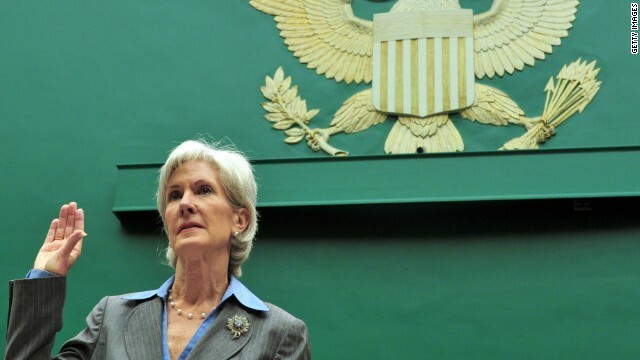 Health and Human Services Secretary Sebelius gets an earful from Congress over the Obamacare website debacle – Dana Bash reports. (CNN) - Vice President Joe Biden laughed off a question about his plans for 2016 from HLN's Christi Paul Wednesday. The two were discussing attending this year's inaugural parade when Paul asked the Vice President if she might see him at the next inauguration in 2017. Biden, who's considering another run for the White House, didn't say much in response but he gave Paul a big grin, and perhaps a gleam in the eye. (CNN) - The bitter fight over nominations resumes Thursday as Senate Republicans appear poised to try and block two of President Obama's appointments, possibly triggering an angry backlash from Democrats. One is the President's pick to be a judge on the highly influential U.S. Court of Appeals in Washington, D.C. The other is a Democratic congressman the President wants to head the federal agency that oversees the mortgage giants Fannie Mae and Freddie Mac. 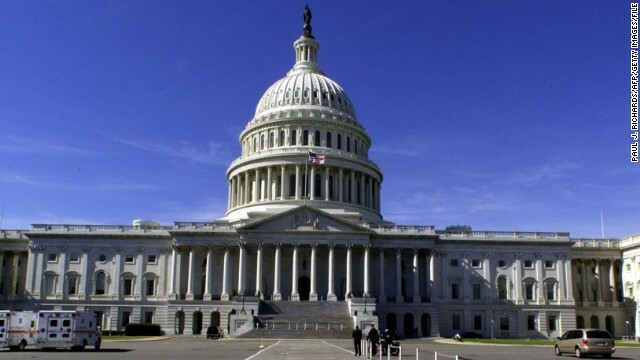 If Republicans succeed in blocking the two, Democrats might carry out a threat to change Senate rules over GOP objections, the so-called "nuclear option," to prevent future filibusters of presidential appointees. (CNN) - President Barack Obama tried to log onto the Obamacare website, according to Vice President Joe Biden, who added his name to those apologizing for the online snafu that has rocked the introduction of the administration's sweeping health care initiative. "The President tried to get online and my daughter tried to get online. I did not, because it was clear that I wasn't getting online," Biden told CNN's sister network HLN on Wednesday. The Vice President said Obama was told several weeks before the October 1 launch that the website was "ready to go." (CNN) - References to “The Wizard of Oz.” A poster of "bros" doing a keg stand. And that shout-out to "Red Solo" cups. White House officials are all but thanking Republicans for some of the more entertaining moments from Wednesday's House hearing featuring Health and Human Services Secretary Kathleen Sebelius. 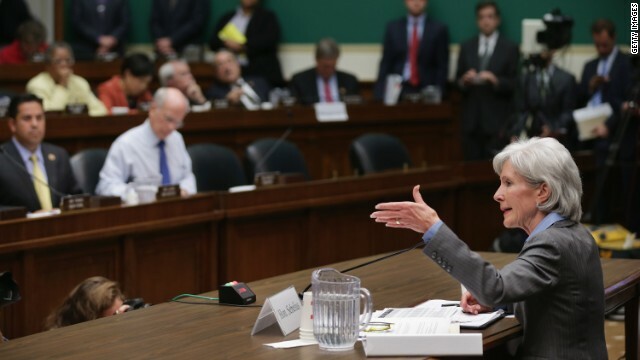 "They did us a favor up there today," one senior White House official told CNN, arguing Sebelius' performance helped, not hurt, the administration's efforts to steer the troubled Obamacare program back on track. 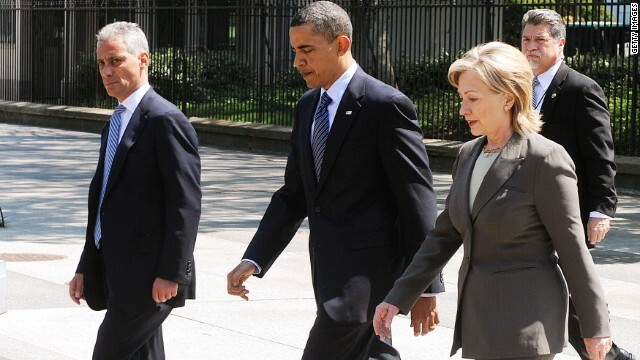 (CNN) – Rahm Emanuel said Wednesday he thinks that former Secretary of State Hillary Clinton will once again run for the White House, and pledged to support her campaign if she did. 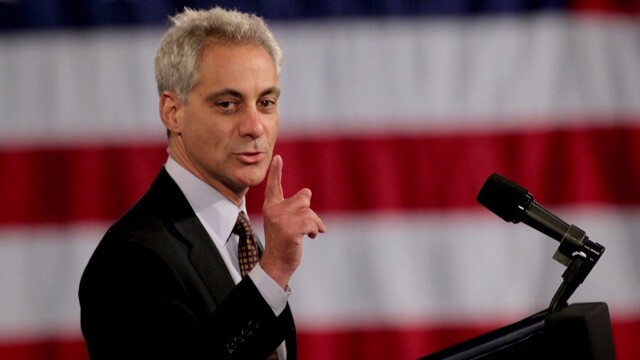 (CNN) – Chicago Mayor Rahm Emanuel, who served as President Barack Obama’s chief of staff, said he expects that people will be held accountable for the botched rollout of the healthcare website. “I have all the confidence and all the assurance that heads are rolling, and they’re spinning right now to fix the problem,” Emanuel said in an interview with Jake Tapper on The Lead. “That's what the president wants everybody’s energy on: fix the problem. We'll deal with culpability later, because the most important thing you've got to do is get the problem fixed,” said Emanuel. BOSTON (CNN) - President Barack Obama acknowledged Wednesday the national health care law's new website was "too slow" and too many people "have gotten stuck" in it. "I'm not happy about it and neither are a lot of Americans who need health care," he said at a Boston rally to tout and defend the Affordable Care Act, which is the signature domestic achievement of his presidency. The President talked about the miserable start up of HealthCare.Gov, which went online October 1. Washington (CNN) - Michelle Obama doesn't need directions to Sesame Street, it comes to her. The first lady was joined Wednesday by two of Sesame Street's popular characters, Elmo and Rosita, in the White House State Dining Room to announce a plan to use the children's characters and their neighbors on the show to market healthy foods to children. CNN's GUT CHECK | for October 30, 2013| 5 p.m. BREAKING … RAHM SAYS HEADS ARE ROLLING … Former White House Chief of Staff Rahm Emanuel tells Jake Tapper that “heads are rolling” inside the White House in regards to Obamacare rollout problems. Interview airs shortly on CNN.